Puppia Soft Mesh Dog Harness - Shop Online! ew Low Price! Buy 3 or more and pay just $15.95 each! You can even mix and match colors and sizes! The Puppia Soft Mesh Dog Harness is our best selling dog harness! This is the most comfortable, safe dog harness for puppies and now for dogs of all sizes (XXL now available). Soft air-mesh comfortable neck. Re-sizable chest belt. Puppia rubber label. This is the official, original and most popular Puppia Soft Mesh Dog Harness. Matching nylon leash is sold separately. Beige harness is trimmed in dark brown, all others are trimmed in black or matching colors as shown. Dont forget the matching Puppia Leash! Proud to still be the largest Puppia retailer, we only sell the official Puppia brand. 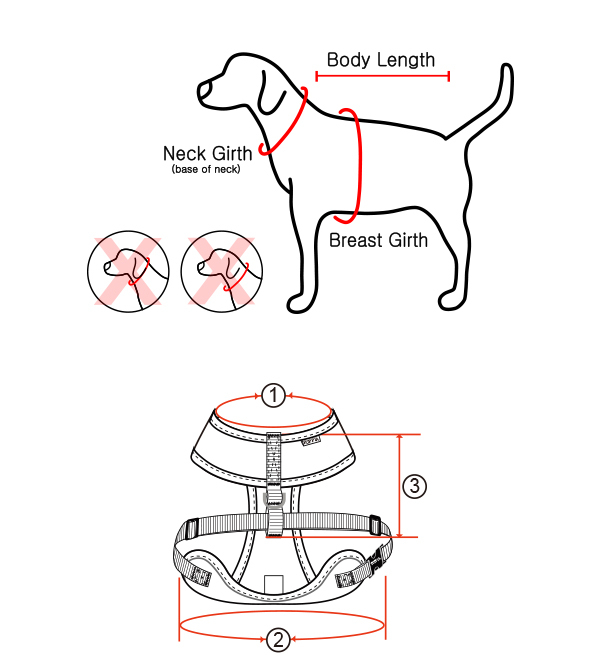 The design of this harness has made Puppia famous and many have attempted to copy it. Beware of counterfeit Puppia harnesses being sold on discount sites. Body belt is the strap that connects the neck to chest strap. The chest measurement is the most important. If you need help with sizing, please call us during regular store hours at 848-888-3568 or email us anytime at sales@thenewyorkdogshop.com! XS is suggested for dogs under 4 lbs, S 4-10 lbs, M 10-20 lbs, L 20-35 lbs, XL 35-60 lbs, XXL over 60 lbs.